CLOSE ENCOUNTER: Comet Lulin is having a close encounter with Zubenelgenubi, a naked-eye double star in the constellation Libra. Zubenelgenubi is not only fun to say (zuBEN-el-JA-newbee), but also a handy guide to the comet. Point your binoculars at the star and voilà!--Lulin materializes in the field of view. The best time to look is just before dawn on Friday, Feb 6th: sky map. 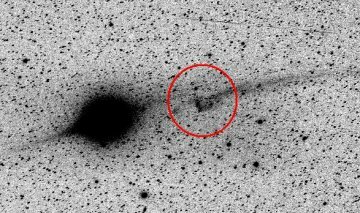 DISCONNECTED TAIL: On Feb. 4th, a team of Italian astronomers witnessed "an intriguing phenomenon in Comet Lulin's tail." Team leader Ernesto Guido explains: "We photographed the comet using a remotely-controlled telescope in New Mexico, and our images clearly showed a disconnection event. While we were looking, part of the comet's plasma tail was torn away." Guido and colleagues believe the event was caused by a magnetic disturbance in the solar wind hitting the comet. It's a plausible hypothesis. Magnetic mini-storms in comet tails have been observed before--most famously in 2007 when NASA's STEREO spacecraft watched a CME crash into Comet Encke. Encke lost its tail in dramatic fashion, much as Comet Lulin did yesterday. 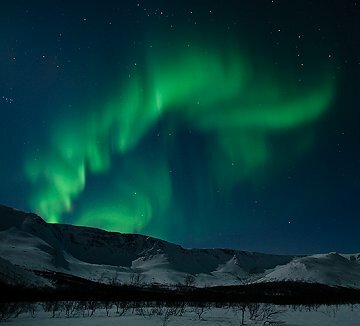 Aleksander Chernucho photographed the auroras from Mt. Khibiny in Russia's Kolyskia peninsula. "I used a Nikon D700 set to ISO 640 for this 6-second exposure," he says. Another outbreak of Northern Lights is due on Feb. 13th or 14th when a solar wind stream flowing from a coronal hole is due to hit Earth. The coronal hole is not yet visible from Earth, but NASA's STEREO-B spacecraft can see it approaching over the sun's horizon. Stay tuned for updates. On February 5, 2009 there were 1022 potentially hazardous asteroids.